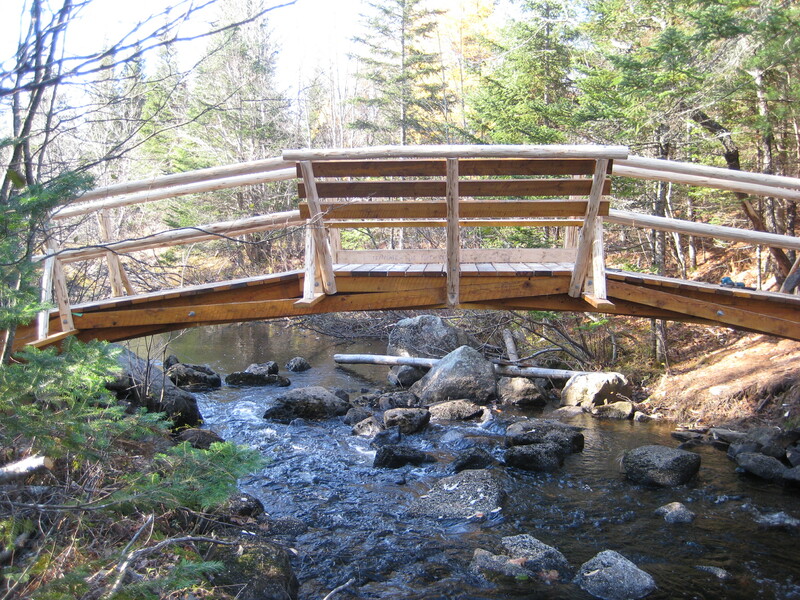 The Oyster River Bog trail is a moderately easy “walk through the woods” and provides excellent hiking opportunities for people of all ages and abilities. 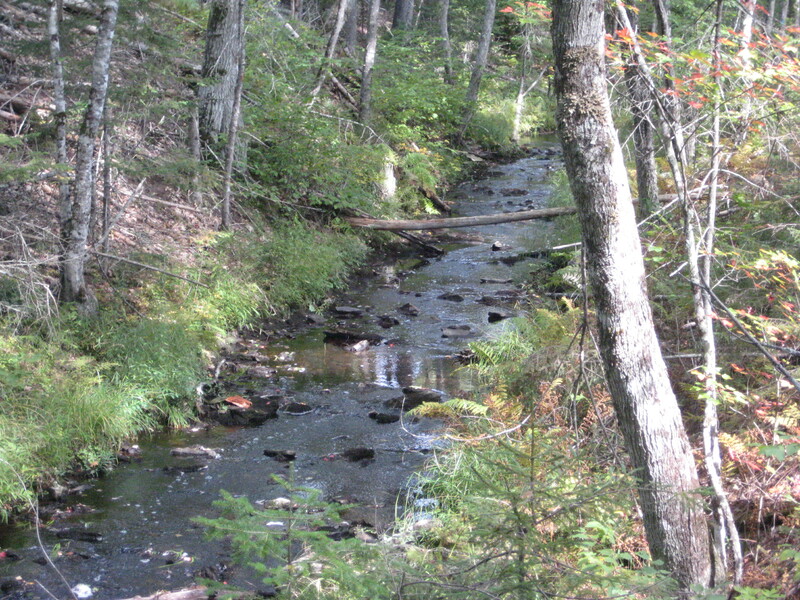 The Oyster River Bog, also known as the Rockland Bog, is an unusual 6,000-acre woodland nestled amid the busy mid-coast communities of Rockland, Rockport, and Warren. 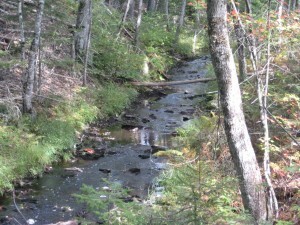 Over 1,600 acres are held in conservation by the City of Rockland, the Oyster River Bog Association, and Southern Maine Wetlands Conservancy. The Bog is an area rich in history and diverse in natural resources. Its forests, streams, wetlands, and peat bog offer prime habitat for an impressive variety of wildlife and plants. 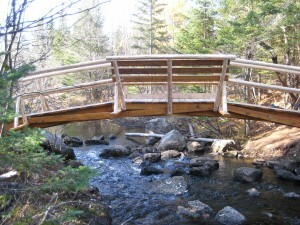 The combination of the Oyster River Bog and Thomaston Town Forest sections of the Georges Highland Path provide a continuous ten-mile hiking experience that connects Route 1 in Thomaston to Route 90 in Rockport. Note: There is a confusing network of active and abandoned woods roads in this area, so be careful to stay on the trail by following the blue blazes. The parking lot at the northern end of the trail is on Route 90, 1.8 miles west of the intersection of Routes 90 and 17 in West Rockport (see map). The parking lot at the southern end of the trail (Jack Baker Woods) is on Beechwood Street in Thomaston, 3.3 miles south of the intersection of Beechwood St. and Route 90 (see map).